Candice made the move into real estate independently from her father and quickly gained a reputation for being honest and reliable. Candice joined her father over 4 years ago and together they have become one of Hobart’s most successful partnerships. Their combined expertise in sales and negotiation along with their local market knowledge has resulted in them winning numerous industry awards. Candice’s is committed to bringing enthusiasm and innovation to every transaction, she listens to you and will find out what matters most to you and your family, creating a strategy tailored to your needs. Living and growing up on the Eastern Shore Candice has extensive market knowledge and will bring to you in-depth information, pinpointing the most competitive price for your home, using relevant data that shows recent sales and up to the minute changes in market conditions – to help you achieve the best possible price in today’s market. Candice and Greg are supported by Suz Bluett, Suz has been involved in the customer service industry for many years and it was this passion that saw her move into a career in real estate, Suz understands that selling can be a stressful time and will work with you to make the experience as smooth and stress free as possible. Suz strives to ensure that all our clients are cared for in a professional manner at all times and is happy to talk to you about any concerns or suggestions you may have during the sale process. Janeece Favaloro also works closely with Greg and Candice. Janeece started in real estate over 13 years and has had a variety of roles in the industry from Sales to Marketing. A former real estate business owner herself she understand the local Hobart market and what is required to achieve a successful sales result. Greg and Candice are the proud owners of the family business for both Harcourts Signature and Harcourts Northern Suburbs and are supported by a wonderful team of highly trained staff committed to delivering results and service at an outstanding level. Greg is one of the most recognised names in real estate in southern Tasmania with more than 30 years experience in the industry. Greg, his wife, Christine and his daughter, Candice are co-directors of Harcourts Signature. Greg specialises in land development and is highly regarded by many of the major developers in the southern region for his knowledge and expertise in subdivisions. His honesty and integrity are trademarks of his success in achieving the best outcome for his clients. Prior to this, Greg commenced his working career in banking followed by a number of successful private enterprise ventures in retail, hospitality and farming. His credentials, expertise and professionalism in this competitive, time-sensitive and demanding industry, are appreciated by clients and staff alike. Greg’s extensive knowledge of the industry will ensure you are getting the best possible service available. If reliability, experience and results are important to you, you may contact him for a discussion on how he can assist you by phoning 0418 508 929. Janeece has been in the real estate industry since early 2000 in a variety of roles from sales to marketing. She was instrumental in developing a national real estate business from the ground up – so she really knows what it takes to operate a highly successful real estate business. She has also been on all sides of a real estate transaction and that’s why she appreciates the importance of supporting staff to deliver a practical, knowledgeable, client-centric level of service that makes us stand out in this industry. Melanie is a fully qualified property manager and has worked in the industry for over 11 years. She currently heads up our dynamic rental team in a management capacity in the position of Team Leader. In 2016 she was awarded the Real Estate Institute of Tasmania’s Property Manager of the Year. 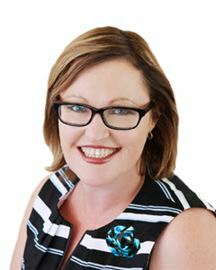 Melanie is highly focussed and efficient property manager who thrives in a fast paced environment. She firmly believes that excellent communication skills are the most important aspect of a successful tenancy for all parties. Enthusiastic, proactive and dedicated to her job Melanie is committed to achieving the best outcome for her landlords every time. We are confident that you will be impressed with the friendly, professional and knowledgeable service that Melanie provides. As a real estate administrator, Nicole’s committed and professional approach to the day-to-day business operations, including a sharp eye for detail, ensures that this business is run in the most efficient and effective manner. Having worked in real estate for two decades, she has an impressive knowledge across all facets of the industry; Nicole is an invaluable part of our business operations to keep the wheels turning with ease. Her warm disposition is appreciated by clients and staff alike. Brendon has excelled in the real estate industry since 2006. In 2009 he undertook extensive training to achieve his Real Estate Managers Licence. With more than 23 renovations and six new-builds under his belt combined with 29 years sales experience, this is the package for a great real estate agent! Early on in Brendon’s career he learnt the value of providing a high level of service that meets, and more importantly exceeds client’s expectations. He is straight-forward, honest and to the point without being arrogant; and he has a healthy dose of humour to boot. When the tools are down, Brendon likes spending time with family and friends. He also enjoys water sports – boating, fishing and diving – which explains their love of the East Coast of Tasmania, particularly the Bicheno to Binalong Bay areas. Brendon is extremely passionate and enthusiastic about building strong relationships that shape the best results while solving his client’s real estate problems. He is known as one of the most professional, ethical and motivated agents in the industry. Call him on 0408 430 919 to discuss your real estate needs. Jerome draws on his significant experience in sales and small business management, his natural ability to build rapport with clients and staff and his approach to real estate has earned him a solid reputation in an industry that is fast-paced and people focused. Jerome was educated at the Friends School in Hobart & has real estate is in his blood, having purchased his first property at the age of 21. If you are looking for a reliable real estate professional to guide you through your next real estate transaction contact him on 0415 488 855. Leah prides herself on a no nonsense approach to selling real estate. She believes that people appreciate genuine effort and consistency and that results are earnt not through cutting corners, but through continuous hard work and commitment. Leah is part of an emerging generation of property professionals that are bringing transferable corporate skills and experience to the table. Her 17 years business expertise as well as strong family ties to the building industry have certainly inspired Leah’s love for buying, selling, renovating and building properties, with interior design being a passionate pastime. Leah is highly equipped to work for her clients with all the energy, commitment and intensity you’d expect from a rising young agent with her finger on the pulse of the rapidly evolving real estate industry. Excellence is a result of high intention. Choice, not chance determines your destiny! Contact Leah today on 0418 748 616. Marita is the kind of sales consultant every property seller wishes they had in their corner. For her, real-estate encompasses so much more than ‘making the sale’. It is instead the development of a relationship, where Marita’s role is to ensure the process of selling a property is as stress-free as possible. Her strong organisational skills reveal her previous career as a teacher: “I provide a timetable so that all parties can keep abreast of the schedule”. Indeed, many of the traits Marita developed through her background in education, such as the abilities to problem-solve, be patient, mediate and always display professionalism, are incredibly valuable within the real-estate sector. Marita has always had a passion for property: “My dad was a builder, and my brother is a builder and draftsman. You could say it’s in the blood!” She enjoys learning about different architectural styles, and understanding the relationship between where people live and the lifestyle they lead. Her love of décor led her to work as an interior designer before joining Harcourts. 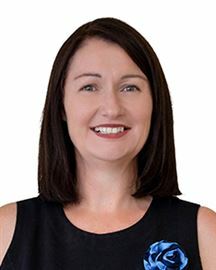 Her personal experience of selling with Harcourts is perhaps the highest form of recommendation any prospective client needs: “The office manager sold us our house a few years ago. We were so impressed that when we on-sold, we decided to get him back again”. A member of a dedicated twenty-three-person sales team, Marita takes pride in the unique branding of Harcourts, and its family atmosphere. Harcourts is also progressive in its technology, its marketing and its methods of interacting with the public. Within her role, Marita is responsible for showing properties to interested parties, co-ordinating bank evaluations, organising open homes, recommending stying companies or financial lenders, and assisting people through the settlement process. The mother of two has a strong appreciation of the arts and loves a wine with cheese! Given her past teaching experience, it is no surprise that Marita is a strong supporter of the Mutitjulu Foundation, which assists an Aboriginal community run a school holiday program, and the Open the Door Foundation attaining a better standard of education for children in Vanuatu. This charitable involvement is strongly encouraged by Harcourts, who continually go above and beyond in their sponsorship and donations to both foundations. Marita is truly invested in the lives, issues and successes of her clients. The extent to which she cares about others achieving their dreams is evident when she lists the highlight of her role as: “…providing impeccable service to vendors and helping purchasers find the property that best suits the way they live”. Michael Weeks has been successfully pursuing the sale of Tasmanian residential real estate since 1994. With a career encompassing an electrical apprenticeship, retail and trade senior sales and sales management roles, Michael’s skills and experience allow him to provide a different perspective to clients seeking to maximise the value of their properties. Similarly, Michael’s long sales history allows him to quickly form successful relationships with his clients and potential buyers and his ability to find win-win outcomes is evidenced by his exceptionally high rate of repeat business. In fact, Michael has assisted in the sale of one Eastern Shore property three times in his real estate career. Michael is well aware of the importance of being an active community member, having spent two years working in Darwin helping to rebuild the city after the devastation of Cyclone Tracy in 1974. He has an extensive knowledge of Hobart’s real estate market and the surrounding communities such that Michael is able to offer his clients the most up-to-date advice available within the industry. Neville commenced his career in the real estate industry in 1995 and in the ensuing sixteen years Neville has sold millions of dollars worth of residential properties within Tasmania. With a fifteen year background in small business, Neville is a focussed and knowledgeable property consultant who has outstanding communication skills and reliability. Neville believes that the key to success in real estate is excellent marketing, thorough follow-up, courtesy and careful consideration when giving advice to clients and he has set a high standard within the real estate industry. Throughout his real estate sales career, Neville has consistently been recognised as an exceptional performer and has received a string of awards and commendations from his employers. Neville started his real estate career with the First National group and is nationally regarded as rating in the top ten per cent of real estate executives in Australia. Moving house, making big decisions and entering new phases of life, are all in a days work as Scott assists and guides clients through all stages of the property sale process. Each client and every property deserves specific planning and custom built marketing to ensure a timely and successful sale. Scott’s vast experience in business management and 15 years of consistent real estate sales, mean that you benefit from his deep well of knowledge and talents. Highly developed communication skills and a genuine desire to help are trademarks of Scott’s personalised service and style. Scott has great passion for the ocean, his garden, the bush, his music collection and family life. He loves working in the seaside suburbs and has a very down to earth approach to peoples lifestyle desires and property needs. He especially loves working on quirky, unusual and unique properties. Honest and totally reliable, he will deliver you the level of service that you hope for and rightfully expect in your real estate professional. Phone Scott to support you through your next transaction on 0419 356 606. Simon is a fantastic and experienced agent with the drive, enthusiasm and commitment to selling your home to perfect new owners, leaving you gratified and with peace of mind. Having had a successful career in the Executive Recruitment Industry as a Business Development Manager, Simon has worked in sales of some sort for over 35 years. He knows this business, and knows it well, understanding exactly what his clients want. Simon recognises that providing exceptional service doesn’t mean telling the client whatever they want to hear or sugar-coating the situation. In fact, Simon’s dedication to honesty, integrity and his enduring passion for the industry prompts him to always be upfront – even if the client doesn’t want to hear it. He is an empathetic and dedicated agent, committed to having a plan and getting the results. Making himself accountable for getting those results is a top priority for Simon, having been recognised for his exceptional level of service countless times across the years. A value Simon honours above others is communication, communication, communication. He believes that being open, collaborating positively with clients and connecting to the individual stories of those he helps are crucial components in a successful real estate agent. Simon is widely respected due to his friendly and open approach, as his unique personality and undeniable energy appeals to many. Simon truly believes it’s the little things that matter, such as doing that extra bit of research for a client or ensuring the client’s wishes are fully heard and understood. The finer details are Simon’s specialty, and this sets him apart from many other agents in the business. He has the time, and the drive, to put the work in. Plus, being passionate about working for Harcourts Signature really helps. Simon sincerely enjoys being a part of the Harcourts Signature team and the wider Real Estate culture, as he loves being challenged to be the best version of himself, professionally and personally. If you wish to discuss your unique plans with someone motivated to make them a reality, be presented with a high standard of customer service and management skills, or just have a friendly chat – Simon Lidgerwood is your Harcourts Signature agent. Contact him on 0408 331 351, today. Alicia has been a property manager for over 8 years, obtaining her property representative license in 2005. She prides herself on delivering friendly and professional customer service to all her clients. Alicia’s love for real estate comes from the fact that she enjoys coming to work knowing that each day is different. She also has a great eye for detail and a passion for interior design and styling. Outside of real estate, she is happiest around her son, family and friends. Harcourts Signature is thrilled to welcome Bianca Hollingsworth to our property management team! Bianca brings with her the ability to create positive working relationships and personalise her service to meet the individual needs of landlords and tenants. Being a property owner herself, Bianca understands the value of her clients' investments and will always work with their best interests in mind. Bianca’s enthusiasm, passion and dedication to her clients make her a valued member of the Harcourts Signature team. If you are looking for a motivated and experienced rental manager, call Bianca today. Harcourts Signature is delighted to welcome Dani Shields to our dynamic rental team. Dani brings 9 years’ experience as a very well respected property manager to her work at Harcourts Signature. Dani’s focus on personalised service, attention to detail and strong ethics give her clients reassurance that she is working hard to deliver both accurate rental returns and watchful stewardship of their properties. Dani enjoys spending her leisure time with her adored spaniels, family gatherings and playing sport. Jeremy joined Harcourts Signature in 2017, having spent over 15 years in sales and customer service positions, including 5 years in management roles. In 2018, he was promoted to the role of New Business Advisor where he now works closely with new clients to determine the best strategies to market and service their rental properties. With a strong understanding of the Hobart rental market, Jeremy is able to accurately assess the potential rental returns that investments bring and provide advice and guidance through the listing process with Harcourts Signature. Whether it be a first investment property or an addition to an existing portfolio, he stands to ensure the client and property are matched with a suitable member of our experienced property management team. After purchasing his first property at just 18 years old and owning investment properties himself, Jeremy understands the value that a rental manager holds in the property investment journey. This personal experience, knowledge and insight drives him to provide exceptional customer service to his landlords and tenants. In his spare time Jeremy enjoys all kinds of sport as well as spending time with family and friends. Nathan is a qualified Property Representative and has specialised in property management since 2012. Nathan has completed the Certificate IV and Diploma in Property Services (Real Estate). Nathan is also a Captain with the Army Reserve, joining in 2003 and graduating from the Royal Military College Duntroon in 2006.During his service Nathan has completed the Certificate IV in Training and Assessment. Nathan’s qualifications and experience have also led him to become an Instructor with the Real Estate Institute of Tasmania. Outside of his many commitments Nathan spends time with his young family and also enjoys cricket, soccer and rugby. Nathan believes integrity is a core characteristic for any professional and will do his best for his clients. Commencing her career in real estate eight years ago, Paula has extensive experience in property management. Qualified as an Assistant Property Manager, Paula has strong communication, negotiation and rapport building skills that ensure her daily dealings with owners and tenants alike achieve the desired outcomes for all. Renowned for her vibrant, positive personality and boundless energy, Paula is an invaluable member of our property management team. Ricky Courtney is among the most experience and knowledgeable Residential Property Managers within the real estate industry. Ricky's career spans almost 28 years of continuous service, having commenced employment as a sales consultant in 1988. He found his niche in 1994 when he became involved in the Property Management field and now maintains a strong and loyal following of happy landlords If you are looking for professionalism and would like to join his clientele feel free to give Ricky a call on 6244 8323 0447 537 737. Romanie commenced her career in real estate with a large southern agency in 2014 in a Property Management administration role, going on to later complete her Property Representatives License. During her career Romanie has worked in residential property management, residential sales support, commercial sales and leasing and administration/marketing roles, all of which equip her with an extensive knowledge base in all aspects of Real Estate. Romanie prides herself on providing the highest level of support for the property management department by ensuring personalised service to clients, attention to detail and honest and clear communication. Outside of Real Estate Romanie enjoys dancing, spending time with family and friends and her adored miniature dachshund. Beginning her Real Estate journey in administration Tayla quickly realised that she wanted to pursue a career in Property Management. 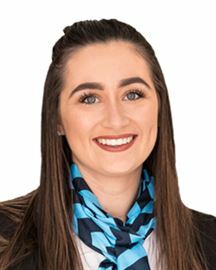 Tayla completed her qualification as a Property Representative and established a passion for managing properties and creating long lasting relationships with clients. 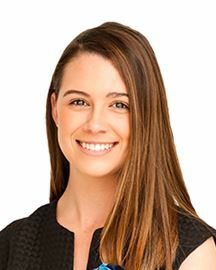 With unwavering commitment to give every client her undivided attention, Tayla works diligently to ensure there is always open communication and that tenants and homeowners alike are always treated equally and with the upmost integrity. Tayla understands the value of face to face communication and carries that drive through to her portfolio. Motivated by great results Tayla and Jordan Seymour-Carr work together to manage a portfolio of properties, working hard to exceed landlord and tenant expectations. 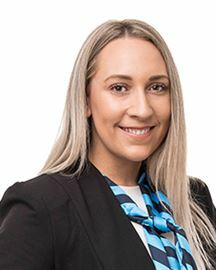 Working in Property Management Administration Amalee joined the Harcourts Signature family in 2018. Amalee brings an extensive background in customer service and community support, which ensures a friendly face as you walk in our office door. Amalee believes that there is nothing more important than providing clients with a positive experience and she endeavours to exceed expectations and leave a lasting impression. With an interest in Property Management she is keen to learn more and continue to further her career with Harcourts Signature. Outside work Amalee enjoys packing up the car with her partner and Labrador to explore and experience all that Tasmania has to offer. 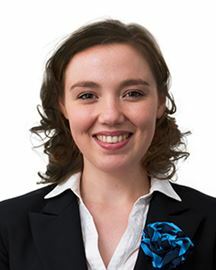 Annika is part of our administration team at Harcourts Signature Rosny Park. Annika is responsible for all reception duties as well as supporting our real estate agents with sales and enquiries. Annika is currently completing Certificate Three in Property Services through formal training and the REIT. She believes in providing exceptional customer service to all our customers. Outside real estate, Annika enjoys spending time outside in the warmer months with friends and family and spending time at the beach. Breeanna was born in Hobart, however she grew up in Adelaide. 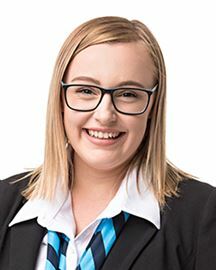 Achieving a high result in year 12, Breeanna knows that having a passion for what you do and working hard will lead you down a successful path. With this she finds herself proud to be personal assistant to Greg and Candice Gottschalk, owners and directors of Harcourts Signature. Breeanna has completed her property representative course through formal training at the REIT and therefore holds a full property representative licence. 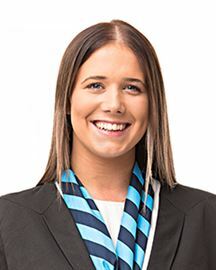 Breeanna is also close to completing her Certificate IV in Property Services, after which she aspires to go on to complete her diploma to become a real estate agent. Breeanna enjoys contributing to people’s happiness and travelling the world. Outside of real estate she plays club netball and has recently begun playing basketball. To conclude, customer service and professionalism are invaluable qualities which Breeanna maintains to a high standard throughout all her dealings. 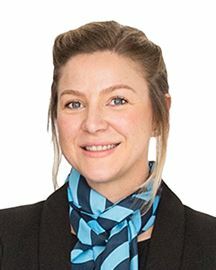 Jessie is part of our administration team at Harcourts Signature Rosny Park, she supports all our property managers in the rental department. She is currently completing her Certificate Three in Property Services through formal training at the REIT. Jessie has acquired a great understanding of how administration support and customer service can excel our company ahead of the competition. Outside of real estate, Jessie enjoys spending time with friends and family. Welcome to 5 Cross Street!!! Find your happy in style..